If you have never had a dry foam professional carpet cleaning before now, you may be curious about what to expect and how to prepare. Since every professional carpet cleaning service has their own process, and there are different methods for cleaning carpets today, it is helpful to understand exactly what the dry foam carpet cleaning method involves and how to ensure you get the best results. In this post, learn how to prepare for a dry foam carpet cleaning service and what to expect on the day of your service call. "Dry foam" can be a confusing term because there is still some use of water involved, albeit it much less than with steam cleaning (the method most people are most familiar with). The shampoo used is dry foam, but it is activated by applying a minimal amount of water to the shampoo foam before use. The water helps to expand the foaming shampoo. Then the scrubbing machine pushes the expanded foam down deep into your carpet's fibers. From here, the foam captures dirt, pet hair and dander, mites, and other detritus stuck deep inside your carpet's fibers. This is all then sucked up, along with the foaming shampoo, via our turbo-vac extraction machine, which is kind of like a vacuum cleaner on steroids. 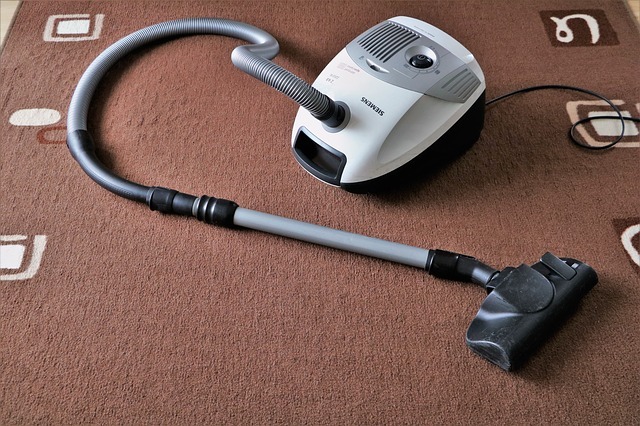 Because the turbo-vac machine is so powerful and efficient at sucking up detritus, foaming shampoo, and any excess moisture, you will also find your carpets dry much more quickly than with the steam cleaning method. To learn more about how we use dry foam shampoo to clean your carpets, visit our post on why dry foam is the best carpet cleaning method. First, if possible, vacuum your carpets in advance. This helps open up your carpeting fibers so our foam shampoo can penetrate as deeply as possible. Mark any places with deeper stains. If you have long-standing or deeper stains you think may need special attention, be sure to somehow note or mark these areas so we can pre-treat them. Move any fragile valuables or small breakables to another area. This is simply a precaution, since your carpet cleaning crew may want to move furniture off the carpet to gain access to clean every inch of your carpeting. Decide what to do about "immovable" furnishings. If you have very heavy furniture or items (examples would be a grand piano, a hutch filled with china, a heavy wooden bed frame), decide if you want to hire movers to relocate these items. Otherwise, our crew may not be able to safely move really heavy or semi-permanent furniture items to clean the carpeting beneath them. Move frequently used personal items to non-carpeted areas. If you have items such as laptop computers, phones, or other devices you will need access to, be sure to move them out of the area(s) to be cleaned, since you will want to minimize all foot traffic in those areas until the carpeting fully dries. If you are able to take one, some, or all of these steps before your professional carpet cleaning crew arrives, it will help to ensure you get the best possible results from your carpet cleaning service. One of the biggest questions clients have is: How long will the carpet cleaning process take? The answer to this, of course, depends on how much carpeting is being cleaned. As you might imagine, one small carpeted room with minimal foot traffic and no deep stains will take far less time than a full house of carpeting with some areas of high foot traffic and deep stains. You can get the most accurate estimate of duration from our representative when you book your carpet cleaning appointment. First, we will do a pre-treatment on any areas that are deeply stained, if applicable. Next, we will apply the dry foam shampoo along with any deodorizing and freshening element you select and begin the cleaning process. The cleaning will proceed in three phases: application of shampoo, scrubbing, and extraction. Once the cleaning is complete, we can apply a stain shield protectant if you wish. Once the actual carpet cleaning service has been completed and our service crew departs, we recommend that you eliminate or minimize foot traffic in cleaned areas as best you can until the carpeting has dried fully. Here at Crystal Clean Professional Carpet Cleaning Services, we spend Monday through Saturday from 8 am to 8 pm professionally cleaning carpeting. 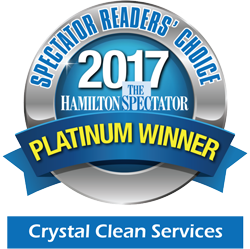 We work with both residential and commercial clients in the Hamilton, Burlington, Brantford, and St. Catharines areas. To schedule your service, just visit us online!